We arrived by school bus. 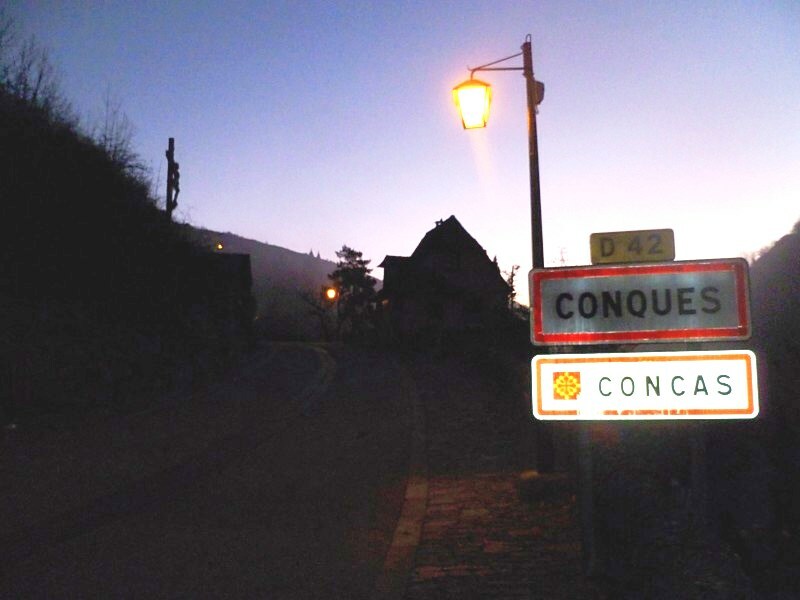 This was the only form of public transportation available, a once- a-week bus into Conques in Southwest France, population 281. 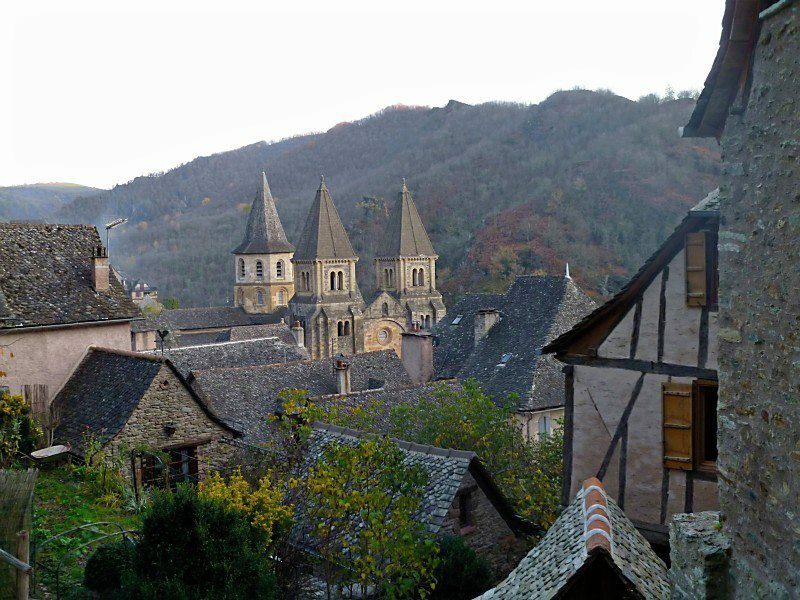 A five minute walk from the bus stop, through the tiny but perfectly preserved village to our half-timber hotel room next to the Abbey-Church of Saint-Foy. 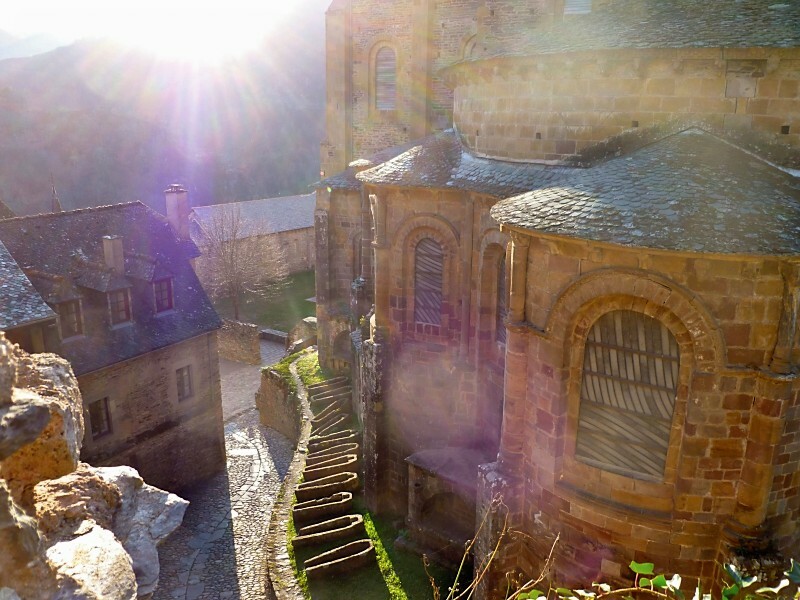 The abbey has been a pilgrimage destination since the 9th century, and is still an active stop on the Santiago de Compostela pilgrimage, although as we were there in winter, we only saw a few other tourists and some handsome chickens blocking the road. My husband (let’s call him The Husband of Bath) and I adore Romanesque architecture and church carvings, and we spent the day admiring the Abbey’s architecture, treasury, and remarkable capital carvings. At dusk we picnicked under the tympanum of the last judgment of the abbey, alone with circling bats and a monk who wished us “ bon appétit”. The cathedrals, the frescoes, the sculpture and the music (and the stinky cheese) are still there in Europe and you can see them in their original context. Travel isn’t just for kids crashing in hostels and seniors ball rooming dancing on cruise ships. You don’t need to be rich. Put on backpack, travel in winter, be a pilgrim with a mortgage and a day job. Skip the fancy restaurant and picnic at the cathedral.